It finally came. 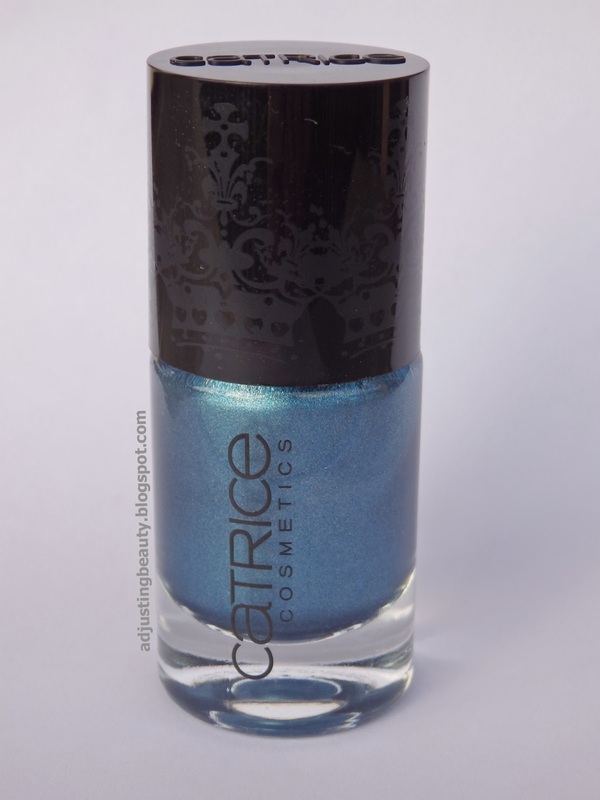 New Catrice limited edition called Rocking Royals. The products were still all there and I was ready to dig in. But then I was disappointed. I was sure to buy one of the eye shadows, but they didn't seem that pretty in real life. One of them was full of glitter - which I sort of hate. Lipsticks were basically a plum and fuchsia color and that wasn't me at all. The liner is just liner, blush - not my colors, so I finally decided to take liplocking base and one of the nail polishes. I have to admit I was lured to this LE because of royal design going on everywhere around these products. I know, I shouldn't be this shallow - damn all those marketing designs! 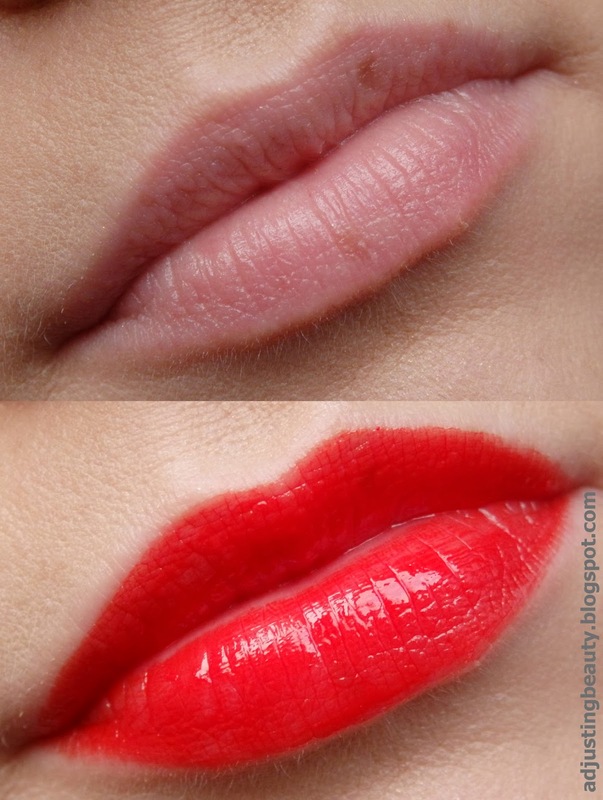 The liplockig base is supposed to prep your lips for the lipstick and prevent it from bleeding. It's a transparent base, which is creamy enough, but not shiny. 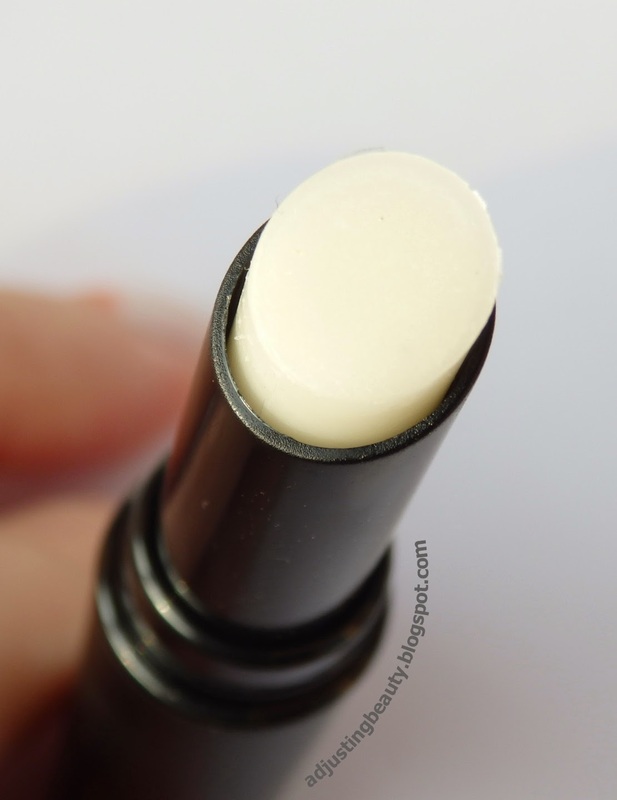 It gives your lips a base, which is a little bit sticky so the lipstick can adhere to it. 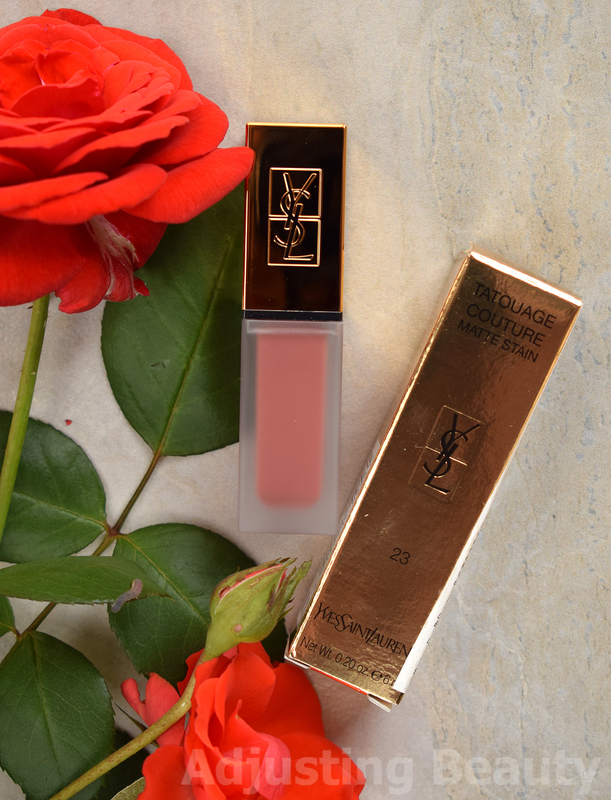 It does hold the lipstick nicely and I also think it evens out the lips a little. As far as bleeding goes, it does prevent a little, but not all the way. 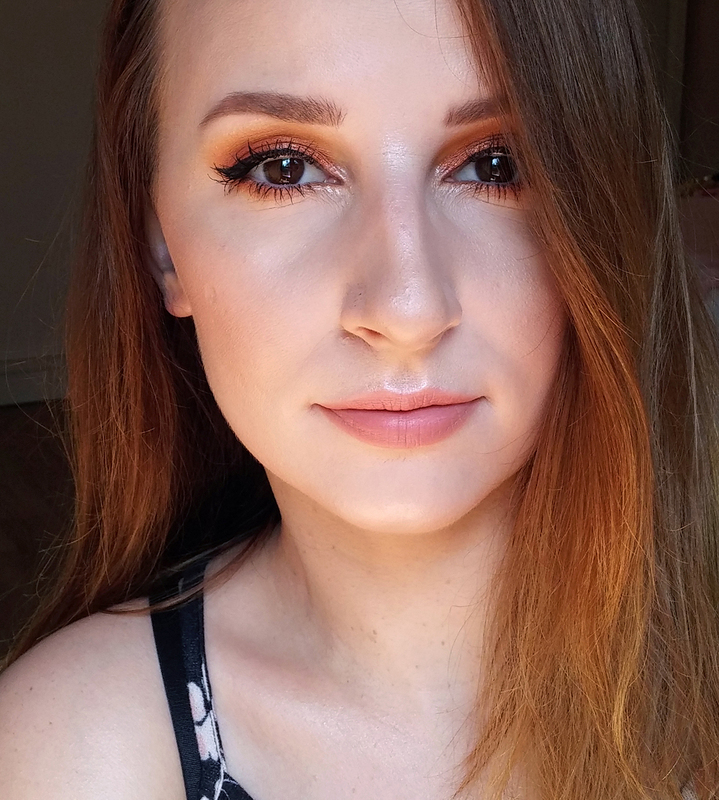 I put it over my only Catrice lipstick, which is Ultimate Shine in 130 Ketch-me-up. I think it will work as a nice base to any lipstick. And look at this beautiful crown - I just know I will reuse this packaging for something else :). It's black plastic matte with gold design on top. The hold of the lipstick is pretty strong, so far. It contains 15 ml of product. Price: 4,19€. I think nail polishes or nail lacquers are really nice. Nothing out of the ordinary, but nice shades. I really liked purple and gold, plus the classic red. At the end I was somehow drawn to a blue color. Totally not my style, because I usually really don't like blue nail polishes. This nail lacquer is in the shade C03 Royal Blue. I think the naming is a little off, because to me it almost looks like a dark teal shade, not royal blue. It's sort of silver blue. 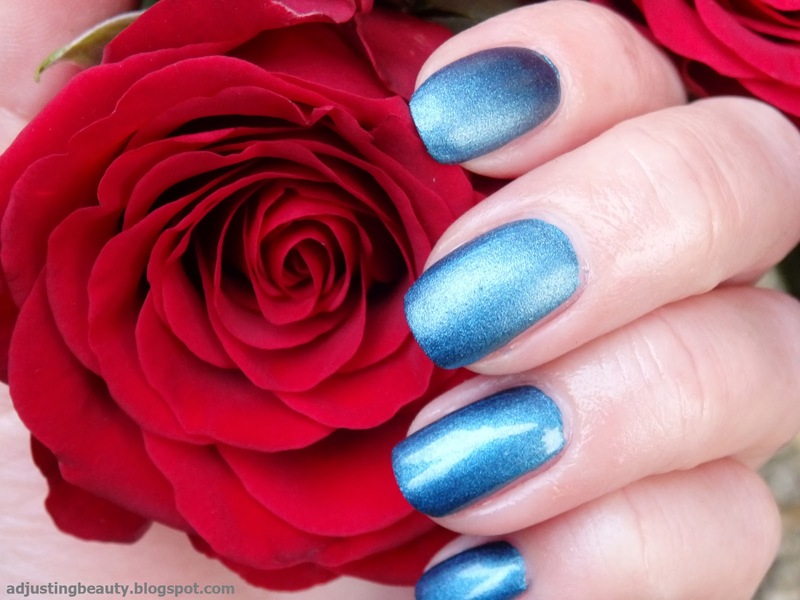 On the nails it is matte, but because it has a lot of shimmery pigments in it, it gives that nice matte sheen to the nails. It's very pigmented, so one coat covers the entire nail. I don't like the texture, which is very thick and it dries very quickly - don't like at all. 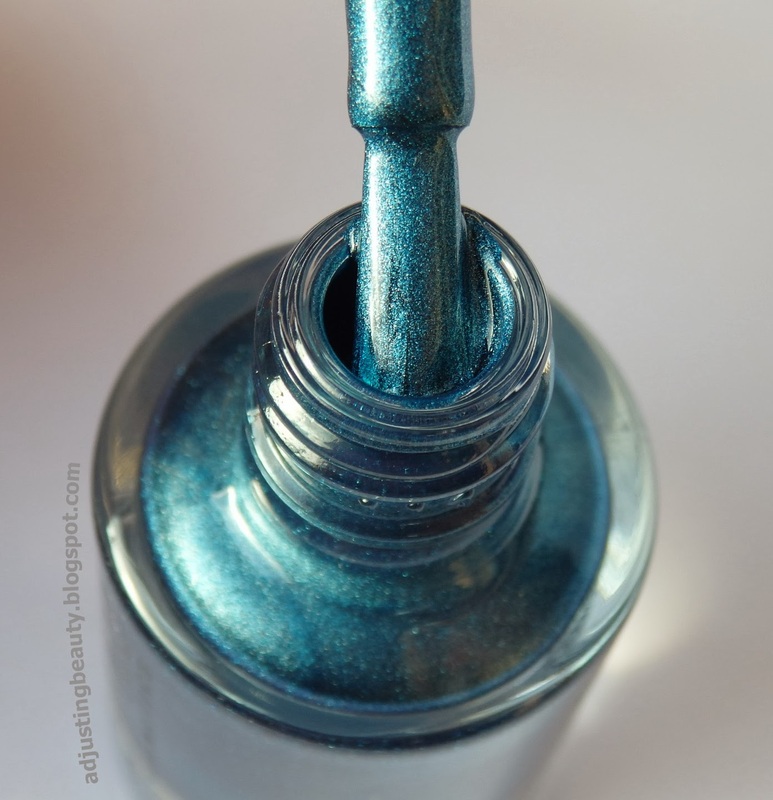 If you put on a top coat, the shade becomes, of course, shinier. 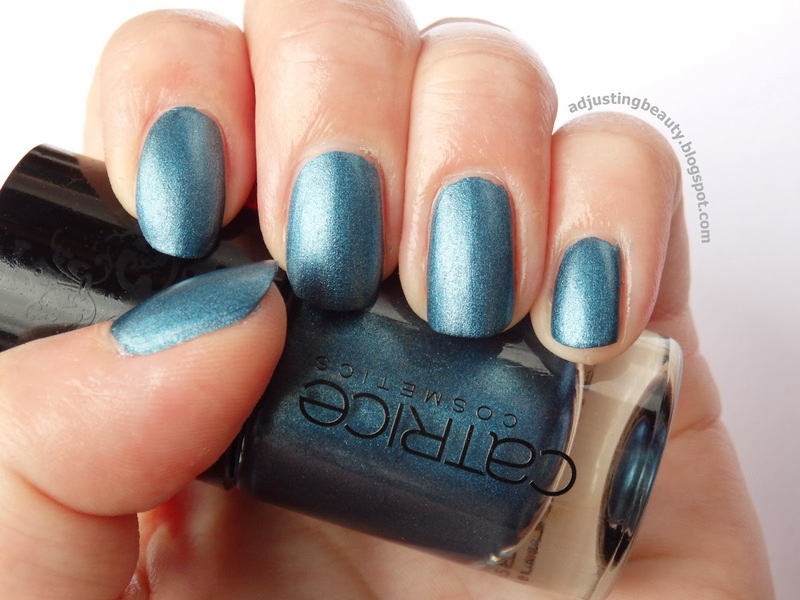 I think this is one of those nice blue fall shades and I don't have anything similar in my collection of nail polishes. The packaging is of course glass with plastic top, that also has a matte crown design. It contains 10 ml of product. Price: 2, 59€. Do you have your eyes on something from this collection? What did you get from this LE? Sem imela nagledana 2 laka, ampak mat finiša pa nisem pričakovala, tako da ju lahko mirno preskočim. Ostalo mi pa niti ni bilo tako zanimivo. Ali je liplocking base tudi negovalena? Drugače pa odličen post, lakec mi je res lep!